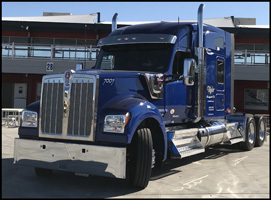 KIRKLAND, Wash., March 21, 2019 – There’s a new long-hood aspirational truck in town, and it’s the Kenworth W990. Next week in Louisville, it will be making its show debut at the Mid-America Trucking Show, with three customers displaying their W990s at the 30th annual Paul K. Young (PKY) Truck Beauty Championship March 28-30 in Louisville. Customers entering their W990s in the PKY Truck Beauty Championship are Eagle Eye Produce (Idaho Falls, Idaho), Taylor Transport (Cartersville, Georgia), and Justus Truck Lines (Hendersonville, North Carolina). 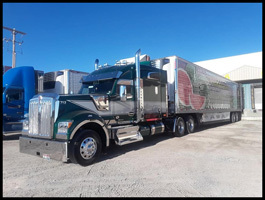 For Eagle Eye Produce driver Richard Walter, the drive down to Louisville from Idaho Falls will be the first time the company’s Kenworth W990 will hit the road since receiving the truck in early January. Taylor Transport, one of the first three companies to receive a pre-production Kenworth W990 at the new model’s unveiling last fall in Las Vegas, will also showcase its latest Kenworth W990, delivered in February. 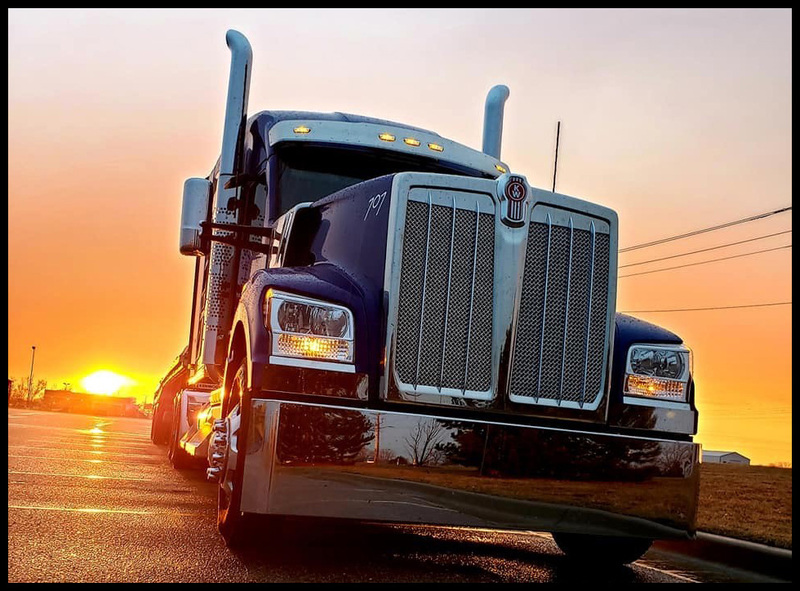 The company added Kenworth’s chrome package in preparation for the show. A third Kenworth W990 will be delivered later this year. “The W990 is easily one of the most comfortable trucks I have driven. Kenworth did a great job with its interior, and our drivers love it. 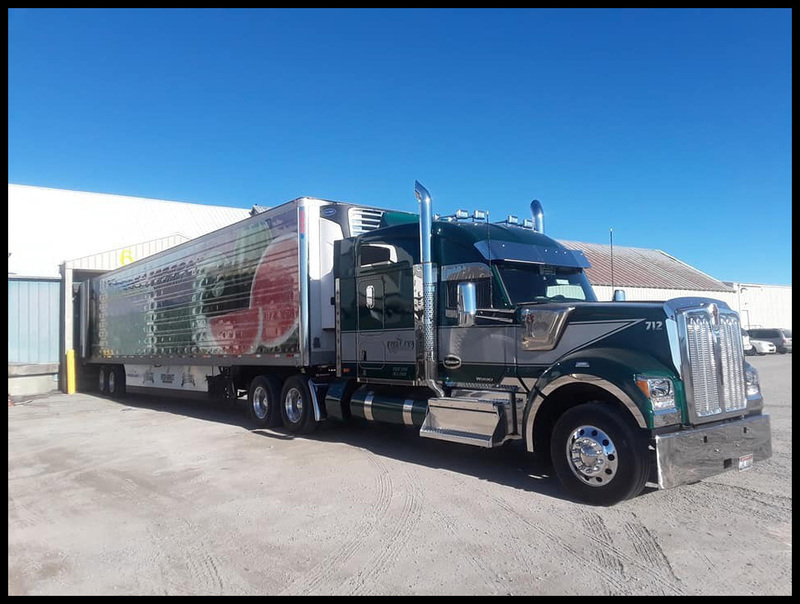 The long hood truck, paired with a wider cab makes for a true driver friendly experience on the road,” said Ricky Cole, Taylor Transport owner. For Justus Truck Lines, the Kenworth W990 featured in the PKY Truck Beauty Championship will become a driver reward truck. 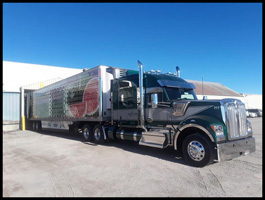 The Kenworth W990 will be given to one of its longest-tenured drivers, Larry Staton, who has racked up more than 1.5 million miles with the company. “Larry has been a great driver for us over the years, so we’re excited to have the opportunity to reward him with the Kenworth W990,” said Don Justus, Justus Truck Lines owner. Kenworth is the exclusive truck OEM sponsor for this year’s PKY Truck Beauty Championship. The beauty contest is named in memory of Paul K. Young, who founded MATS in 1972. Kenworth will have a customized W990 with a 76-inch mid-roof sleeper on display at the championship. The W990 offers numerous options. Special comfort and style options include the Limited Edition black interior, and the Driver’s Studio package of premium options that create a luxurious home-on-the-road living experience. The W990 is standard with the Kenworth TruckTech+® Remote Diagnostics system. As part of Kenworth’s sponsorship, new this year is the “Top Three Kenworths in the Show” awards that recognize the top three Kenworth trucks in the PKY Truck Beauty Championship. The “Top Three Kenworth” owners in the show will receive a trophy, and a prize provided by Kenworth and PACCAR Parts. 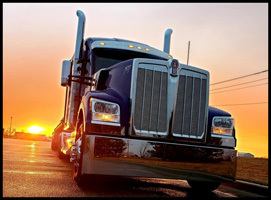 Kenworth will also present the “Top Three Kenworth” owners with an all-expenses paid trip for two people to Ohio for a personal, red-carpet tour of the Kenworth Chillicothe plant, where Kenworth employees produce the World’s Best Trucks®. The Kenworth W990 is available in day cab, 40-inch flat top, and both 52-inch and 76-inch mid-roof sleeper configurations. The W990 is standard with the proprietary PACCAR Powertrain consisting of the PACCAR MX-13 engine rated up to 510-hp and 1,850 lb-ft of torque, 12-speed PACCAR automated transmission and PACCAR 40K tandem rear axles.